Today’s battlefield environment is constantly changing and today’s security forces must be able to respond to an increasing variety of threats. Maser Defence has teamed with some of the foremost defence suppliers in the world and is able to offer innovative solutions to a wide variety of threats. Maser Defence’s suppliers meet the needs of traditional defence tasks, such as network centric warfare, and cater to specialist requirements including covert surveillance, CIED and enhancing RF capability. Lives depend on reliable and efficient communications. 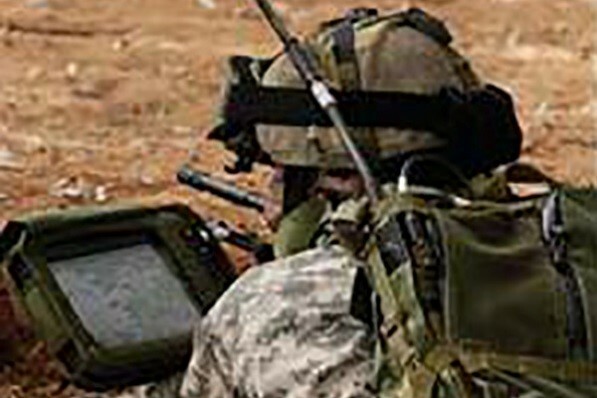 The use of IEDs, and the measures needed to protect personnel from these devices, adds just one layer of complexity to an already complex in-theatre communications environment. Co-site location of transceivers and the resulting radio performance degradations are another. Maser Defence’s partners deliver reliable, innovative and proven solutions to NATO and coalition forces. Comms through Comms and Comms through Jam are just two of the areas where working solutions are in use. 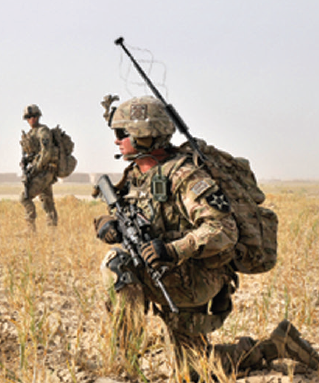 Maser Defence’s solutions include antenna systems (HF, VHF, UHF, GPS, DF, CIED and UHF Satcom), LNAs and filters, masts, and self-healing IP Mesh and soldier personal radios. Cobham Antenna Systems are a market-leading supplier of advanced, ultra-reliable integrated systems for avionics, radar, surveillance and Satcom applications. Cobham Antenna Systems includes trusted brands such as Chelton, European Antennas and Trivec Avant. Building on decades of delivering reliable, in-service, solutions, Cobham continues to deliver innovative solutions to meet the changing needs of today’s defence forces. Cobham’s range of vehicle antennas covers everything from HF to TacSat. In addition to familiar VHF and UHF military antennas, Cobham’s range include multiport antennas which maximise the limited real-estate on today’s military vehicles. TacSat antennas are available for land and sea environments and feature rugged designs, built-in ground planes, and good performance when working with satellites at low angles of elevation. Self-steering antennas complete the vehicle range. For dismounted applications Cobham offer flexible goose-neck and folding designs. Goose-neck antennas are strong enough to survive heavy contact with vehicle and environmental obstacles. All designs allow the dismounted operator fast and ready access to the communications network in any situation. 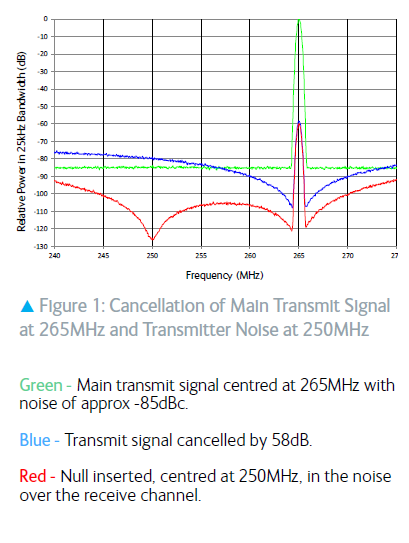 Challenging RF environments can greatly reduce the effectiveness of mounted comms systems. Cobham’s ICE (Integrated Communications Environment) system optimises radio performance in the harshest of environments, extending comms range and maximising utilisation of the available channel plan. 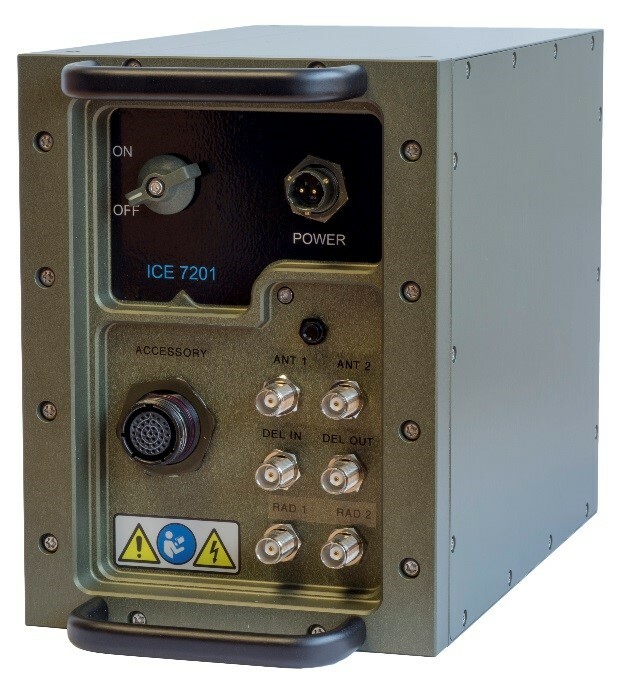 ICE can also be used for comms through jammer applications, maximising the effectiveness of force protection equipment. Cobham Mast Systems in Finland are the largest supplier of military masts in the world. Ruggedised, reliable and simple to use designs provide a solution for any application whether fixed or mobile. 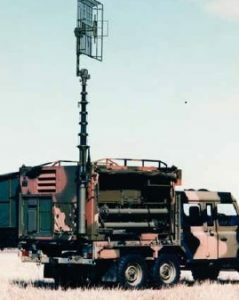 Masts can be stand-alone, or integrated into a vehicle. Spreader bars, brackets and remote steering options ensure each mast can be fitted with the equipment needed for each operation and can be quickly and efficiently orientated once erected. Smaller portable masts can be used safely in any environment, fixing plates and tree straps being just some of the options available to ensure correct and safe set-up in any environment. When deploying into an area without any useable infrastructure, setting up reliable communication links to the outside world is one of the highest priorities. Traditionally this required heavy equipment to be transported by vehicle or airlift and had to be set to work by highly skilled satellite operators. Maser Defence offers highly portable SatCom terminals (which include BGAN and VSAT) that can be carried into theatre and quickly set-up and operating in a matter of minutes. 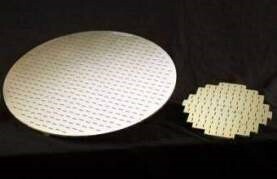 High performance filters and LNA’s can be used to maximise system performance whether installed as fixed or temporary solutions on almost any platform. 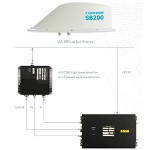 Complete satcom solutions are available for land, air and sea applications. 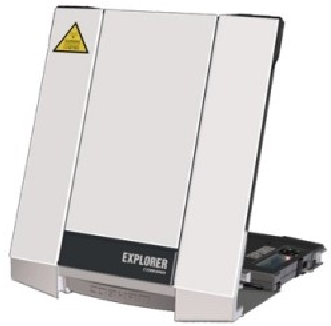 The EXPLORER family of Portable Satcom Systems and Vehicle Satcom Terminals support voice and data comms including email, videoconferencing and even allow users to set-up multi-user communication networks. Set-up is simple, so you can be online and working within a few minutes of arriving at your destination. Airborne Inmarsat SATCOM allows users to remain connected wherever they may be. Cobham can provide airborne environments which support voice and data communications using the Inmarsat satellite network. These solutions are suitable for Commercial, Business Jet and Military operators and are available in 1, 2 and 4 Channel configurations. By creating a hot-spot on an aircraft, wi-fi enabled smart phones and tablet devices can be used on board. Maser Defence are pleased to offer BGAN SCAP packages and are happy to discuss the most appropriate package for your needs. Scotty Group are a solutions provider and manufacturer specialising in the beyond line-of-sight audio, video and data for communications and surveillance purposes. 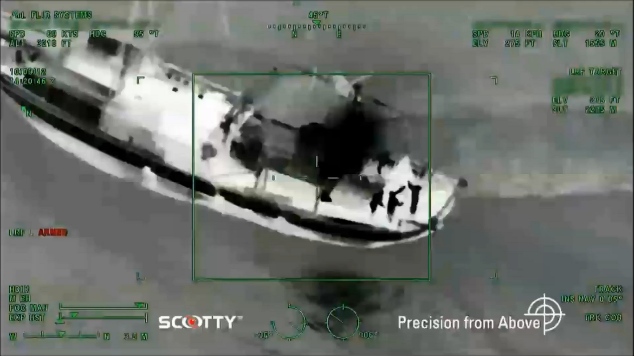 Scotty equipment can be deployed in the field, on vehicles, ships and in the air. Applications include tele-medicine, tele-engineering, command and control and surveillance among many others. Cobham Antenna Systems SATCOM antennas use strong and durable composite radomes to ensure they survive in the field and offer the user reliable Satellite communications in the most demanding of environments. 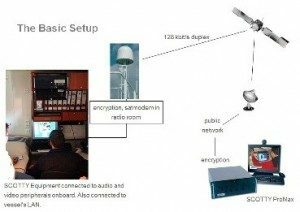 Cobham’s expanding range includes coverage of legacy and MUOS operating bands and also includes the provision for operation independent of metallic ground planes, giving the user greater flexibility for installation and ensuring maximum overall performance for the platform. 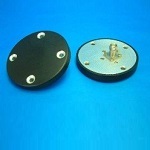 GPS antennas are available for both the L1 and L2 bands. 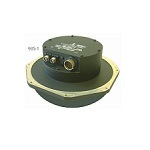 Cobham’s type 20-41 series antennas also feature integrated low noise antenna electronics. Signals in the two GPS bands are amplified (M, P and CA code compatible) while rejecting out of band signals. These antennas can be used in GPS rebroadcast systems to rebroadcast the GPS signal into the interiors of aircraft and land vehicles. For example, parachutists can acquire the GPS signal prior to leaving the aircraft. Cobham has been a global leader in the development of Anti-Jam and GPS technology for over 20 years. Cobham’s latest, next generation, single Anti-Jam GPS system solution consists of a 7-6005 Anti-Jam GPS DACU (Digital Antenna Control Unit) and a four channel 20-7009 Anti-Jam GPS CRPA (Controlled Reception Pattern Array) antenna. 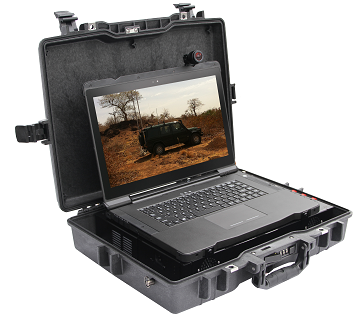 The live video streaming system from SCOTTY is available in aircraft fit configurations. This proven system allows live video to be streamed directly from an aircraft to, for example, a control centre. Applications include first response and disaster recovery, surveillance, situation awareness, search and rescue, and news broadcasts among many others. High definition stills can be piggy-backed over the video signal without interrupting the video itself. 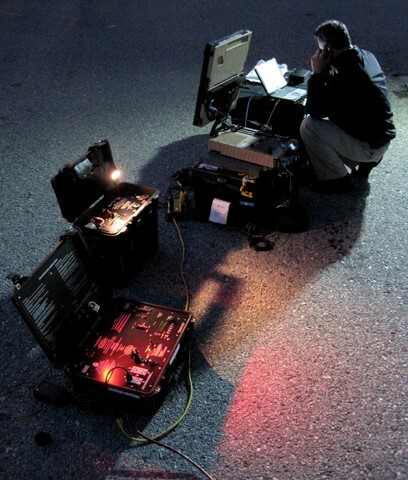 Vehicle mounted jammers protect personnel from IEDs but have a serious impact on communications. Maser Defence’s partner Cobham has proven solutions for Comms through Jam and Comms through Comms. Anti-jam GPS enables airborne GPS systems to remain in contact with GPS satellites and ensure accurate positioning information is available. Live streaming video via satellite, or any available infrastructure, allows cameras on remotely controlled vehicles to relay live information in hazardous environments and removes the need for personnel to be involved until a situation is understood. This might involve the deactivation or remote detonation of IEDs, or evaluating the situation in CBNRE hazard environments. With the prevalence of IEDs it is essential to provide the appropriate protection to deployed forces. Maser Defence is able to provide mounted and dismounted jammer antenna solutions from both Cobham Antenna Systems and Alaris Antennas. The counter to this is to be able to deploy forces and retain their ability to communicate with a jammer operating. 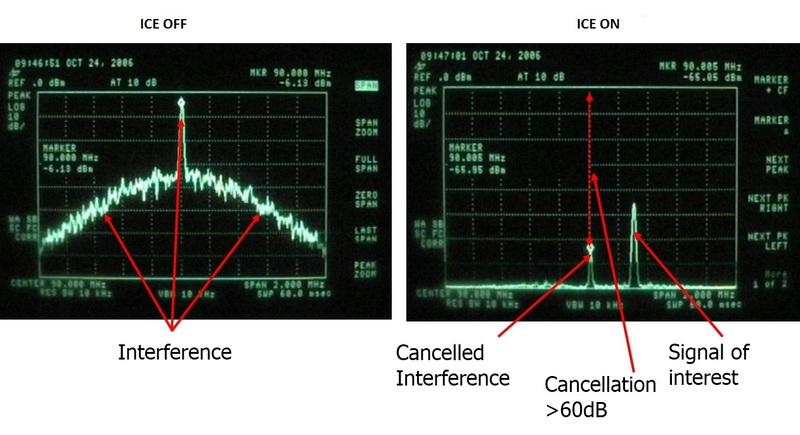 Cobham’s ICE system is a proven solution for on-board, in-band interference which may be from a jammer or other on-board sources. Anti-jam systems are also available for off-board jamming. 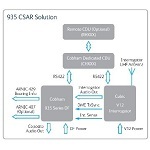 Currently implemented for anti-jam GPS, Cobham’s work with CRPA technology makes solutions for off-board, in-band interference possible. Weight is a critical issue for today’s soldiers. Increasing technical capability leads to increasing expectations; live video can be streamed to command centres as events happen via helmet worn cameras and personal communication systems. These add weight and can be easily damaged. 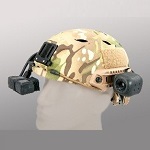 Maser’s solutions include lightweight cameras and displays, night vision goggles, antennas and personal power systems. 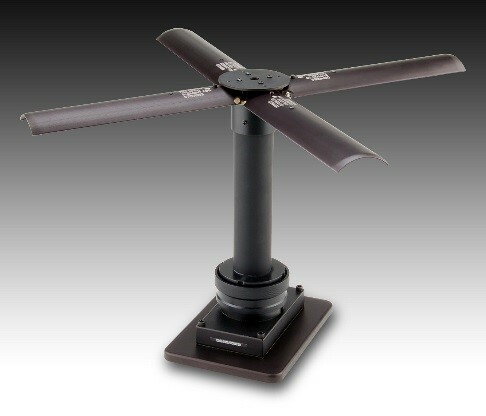 Each is designed to add capability with the minimum increase in the weight to be carried into action. Maser Defence’s range of manpack antennas include VHF/UHF, SatCom and EW antennas. The 3500 Series VHF/UHF Broadband manpack Tape Antennas from Cobham are designed for manpack radio applications operating in the 30 MHz – 2.5 GHz frequency band. They are constructed from a number of stainless steel tape elements, sheathed in a protective durable sleeve. 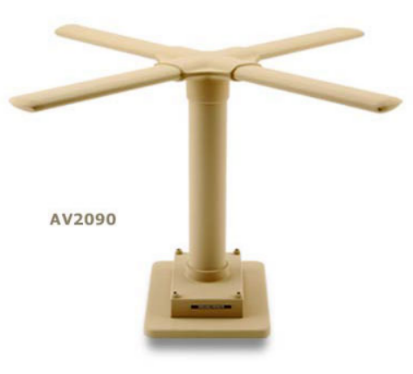 Trivec’s AV 2125 is the smallest and lightest foldable UHF SATCOM antenna. 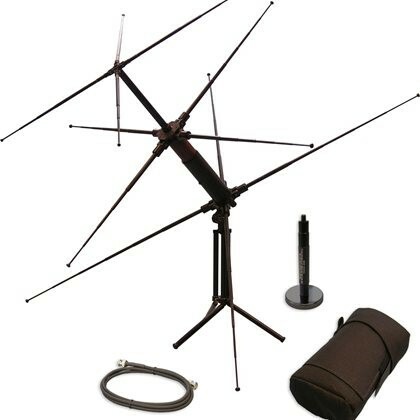 This manpack antenna is designed for special missions where portability, the option of hand held operation and high gain are required. 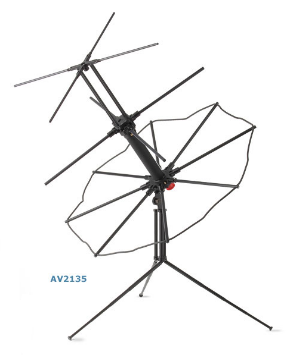 The AV 2135 is the MUOS variant of this popular antenna. 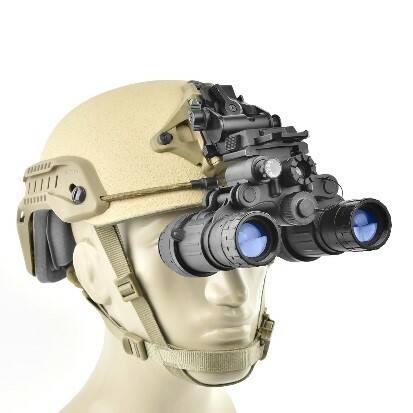 Through our partnership with Summit Night Vision Group, Maser Defence can provide high military grade image intensified night vision goggles, monocular, thermal weapon sights and clip on night vision devices. Our battle proven night fighting capabilities include popular NVG Binocular SNVG-7, SNVG-15 and SNVG-BNVS. 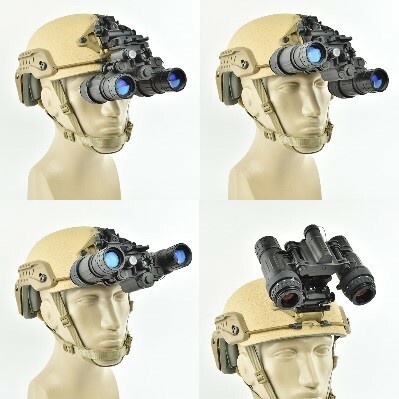 Summit Night Vision provides image intensifier (I2) night vision tubes of various performance levels, spare parts, full repair service and complete I2 night vision systems including goggles, monoculars and weapon sights. 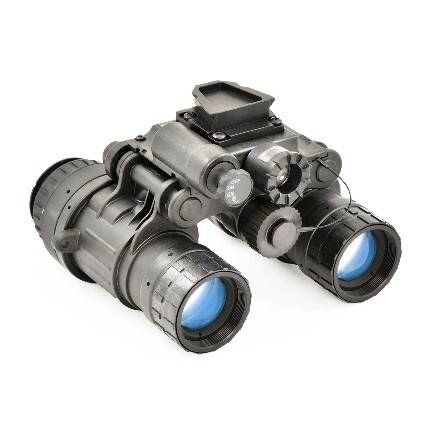 The SNVG-BNVS uses a rugged housing design and is extremely lightweight for a two-tube night vision binocular. It can be submerged to depths up to 66 feet. The BNVS operates on one 3V lithium battery and includes a built in IR Illuminator for increased image clarity in low light situations. 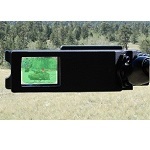 It comes standard with a dove-tail type mount interface. An ANVIS-type ball-mount option is also available depending upon your preference. Summit also offers thermal imaging cores and systems for specialised applications. 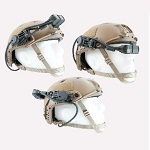 Liteye offers a full line of Military HMD that can be customized to your specific situation. These advanced displays are utilised in such areas as battlefield, command, augmented repair/maintenance, aviation, telemedicine and UAV control. 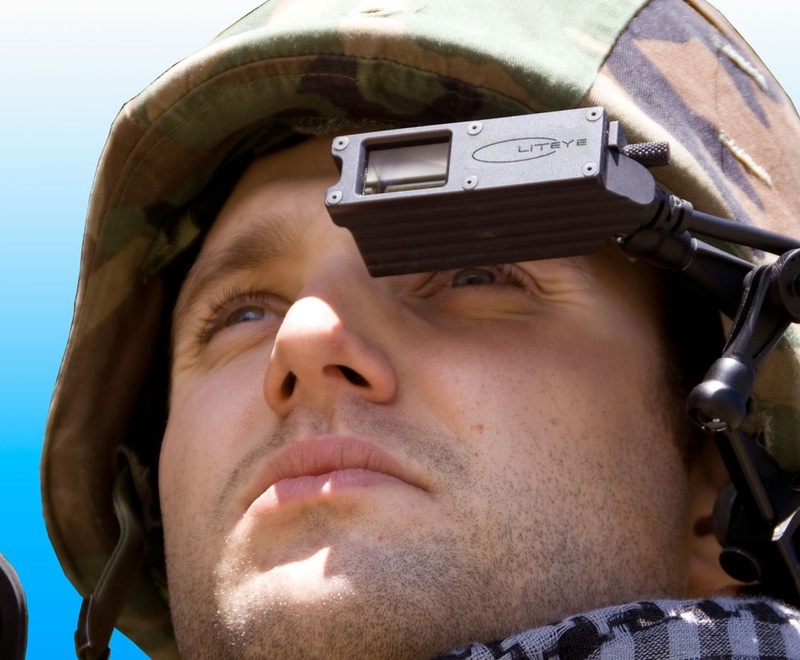 Liteye’s HMD allows the end-user to view data from sources such as GPS, computers, thermal imagers, cameras and PDA’s in the most remote and harshest environments. The LE 720A is a high performance rugged OLED microdisplay solution for situational awareness applications. Available in full colour SVGA/VGA or monochrome video this lightweight versatile easy to use product provides a display computing and remote viewing in any mobile situation. The LIMA creates a unique interface for Liteye’s 600 family of products. 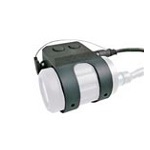 The unit interlocks around the 600 and offers user mouse control for handheld applications or Pan and Tilt operations. Together the units allow for remote viewing when a standard monitor is not available or practical. It also allows for private covert viewing use. The LE 450 family is a high performance semi rugged solution. Available in full colour SVGA or monochrome video this lightweight versatile product provides a display for portable computing and remote viewing. 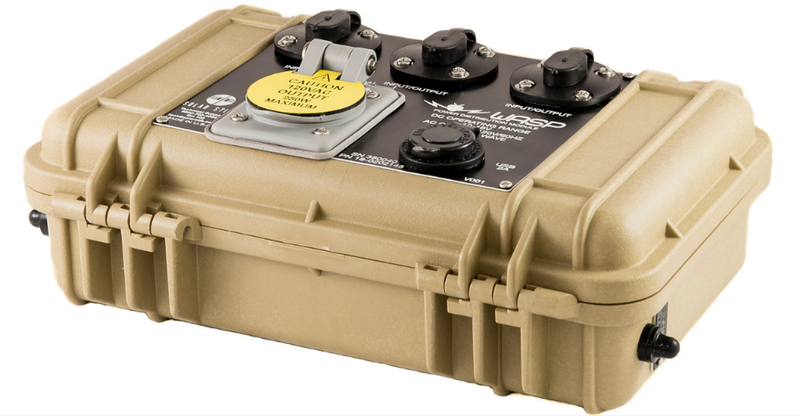 The LE 600 family is a high performance rugged solution for situational awareness applications. Available in full colour SVGA or monochrome video this lightweight versa‐ tile product provides a display for portable computing and remote viewing. The 600-5xx series is a mil spec ITAR product. This products has been fielded and proven in many theatres of operation around the world. 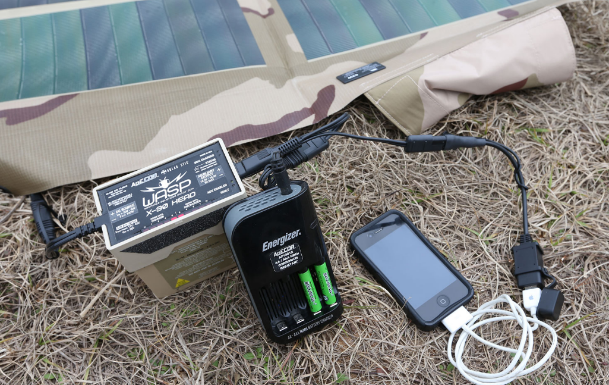 The Solar Stik™ Wearable Advanced Soldier Power (WASP) system is the most efficient lightweight power generator available. 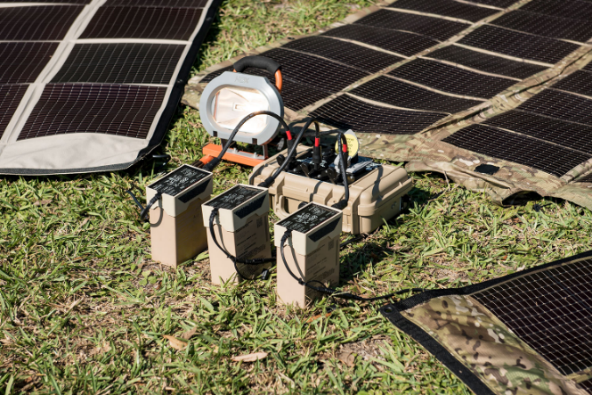 For applications where form-factor is mission-critical, the WASP system provides the fastest and most reliable battery recharging on the market. The WASP system provides the soldier with a complete power management system. An X-90 head plugs directly into the supported batteries. A basic cable connects the batteries to a solar panel, DC source, and/or the appliance load. If additional capabilities are required, STINGER cable kits allow the WASP to be quickly tailored to suit particular missions and applications. 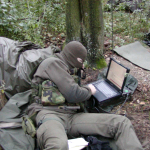 Intelligence, Surveillance and Reconnaissance requirements can take many different forms. System components from Cobham, Liteye and Alaris include covert, body-worn antennas and thermal cameras, to vehicle covert communications, monitoring and DF antennas. Discrete personal displays with no light leakage and covert thermal camera systems, are particularly suited to surveillance applications. Mesh radios provide a flexible infrastructure backbone and mast systems ensure effective LOS location can be easily achieved. 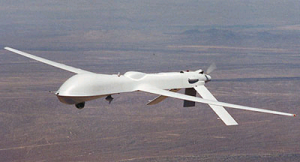 Satellite based systems from SCOTTY support long range airborne monitoring, whether using manned or unmanned vehicles. Airborne systems support long range surveillance of targets, whether for military, security or commercial purposes. 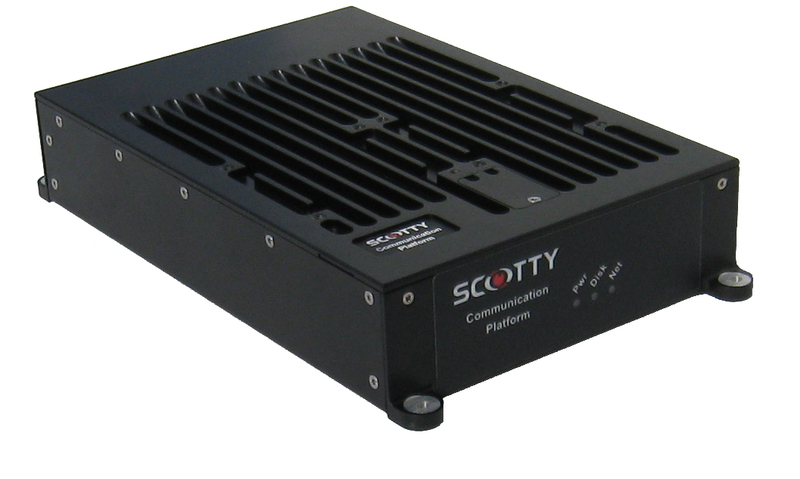 SCOTTY’s flexible system can use existing terrestrial systems, or satellite systems. With two-way HD still or video transmission possible across links as narrow as 192 kbps, the system is effective over almost any infrastructure. This makes the system suitable for border and economic zone security. 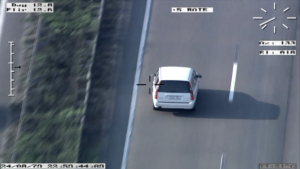 The ability to interface to, and transmit images from different cameras allows aircraft crew, or surveillance staff at an operations centre, to select the appropriate image. Are the people visiting on a boat fishermen or pirates? • Remote operators can dial in over satellite and control seven cameras on board. 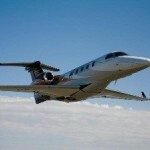 • They can download recorded video and communicate with crews through satellite telephony and video teleconferencing. • Security staff can find out what is happening on board ship without anyone there knowing. • Ships underway anywhere in the world can be accessed from headquarters, other ships, patrolling aircraft. • Boarding parties have access to full and live information before deploying. 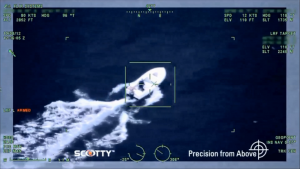 The SCOTTY system allows both the Captain and crew to obtain situational awareness of pirate activity before it happens, during an attack and after, allowing informed decision making. It allows Naval forces and monitoring agencies to have a common operating picture and allows them to remotely access cctv to ensure the most effective military response. The same system elements can be located on commercial aircraft. Cameras and sensors can be used to monitor conditions in different parts of the aircraft, such as the hold, or passenger cabin. Aircrew and remote operators can see what is happening in real time and take the appropriate action. The demand for camera systems which are able to meet a multitude of roles, has seen a corresponding increase in the variety of cameras available. Through our specialist partners, Maser Defence is able to offer camera solutions to meet the demands of applications which include X-ray, IR, thermal and 3D. Liteye’s Aquila range of Thermal Imaging cameras are suitable for a range of applications including Force Protection, Situational Awareness, Border Surveillance, Coastal Surveillance, Covert Surveillance and Critical Infrastructure Protection. The Aquila Micro is a miniature short-range Thermal Imager designed for applications where an extremely small and lightweight footptrint is required. Please find below a specsheet for more information. Kappa opto-electronics GmbH is a global player with more than thirty year’s experience. Their rugged, proven cameras are in use with major aircraft manfacturers and applications include HUD’s, flight test, UAV/UAS control, in-flight refuelling and aircraft surveillance. Supported interfaces include GigE Vision, Gen Cam, Camera Link, Firewire, USB, HD-SDI, HDMI and SD-Video. Kppa Optronics is a member of Aerospace Valley; a European based network of more than 800 companies and research centres, developing a range of solutions for the aerospace industry. UAV’s are a recognised threat and lend themselves to malicious activity in domestic environments. 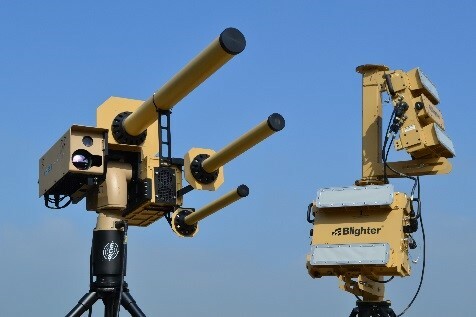 Their detection and neutralisation is becoming an increasing concern and Liteye, with their partners Blighter Surveillance Systems and Chess Dynamics, have developed a system which is generating considerable interest in North America. 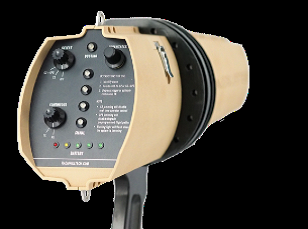 The AUDS system combines electronic scanning radar target detection & classification, Electro Optic (EO) tracking and directional RF inhibition capability over three independent RF bands. It is able to DETECT small UAVs in all weather conditions 24 hours a day, TRACK the UAV and, combined with radar target information, classify the target. 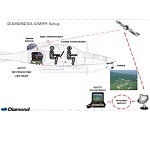 The operator is then able to make a timely and informed decision to selectively interfere with the C2 channels on the UAV allowing the system to DISRUPT the UAV’s mission. ArbitorShield™, from Zone Advanced Protection Systems, is a complete turnkey web based CUAV platform for the detection and countermeasure of all hobby and sports drones / UAV’s. ArbitorShield™ is a passive system, it uses innovative RF techniques in an intelligent series of mitigation operations. Firstly it detects the presence of the incoming drone and identifies its type (at a distance of 4.8 km). Then it can track the drone as it prepares to autonomously deploy defeat commands to take control of the drone. ArbitorShield™ targets both the uplink and predominantly the downlink of the drone video and telemetry data to detect and defeat the drones, countering the limitation of controller detection only. 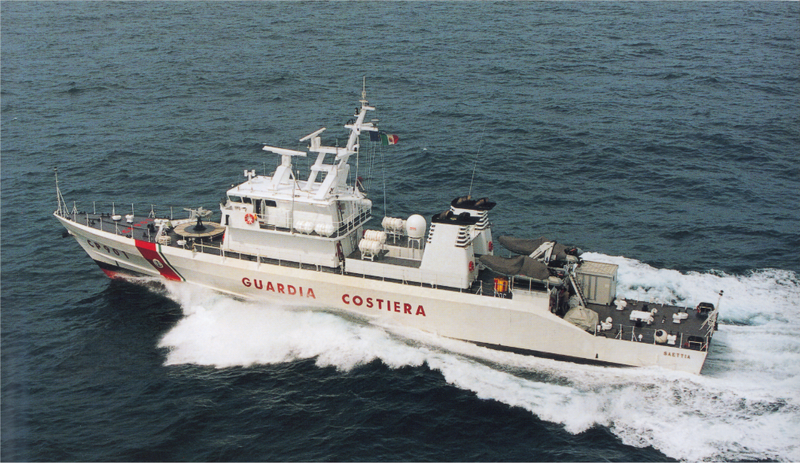 Maser Defence offers a range of solutions for Maritime applications, for vessels of all sizes. Our solutions range from components, flexible cable and waveguide components, to Search and Rescue equipment, power and surveillance systems to protect against piracy. Other supported applications include remote medicine and tele-engineering. Maser Defence provide antenna designs specifically targeted at the unique needs of maritime applications. 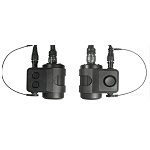 Cobham’s JTIDS antenna range is designed to allow Link16 communications. Either around or atop the mast, these antennas address the ship to ship, air and shore applications. 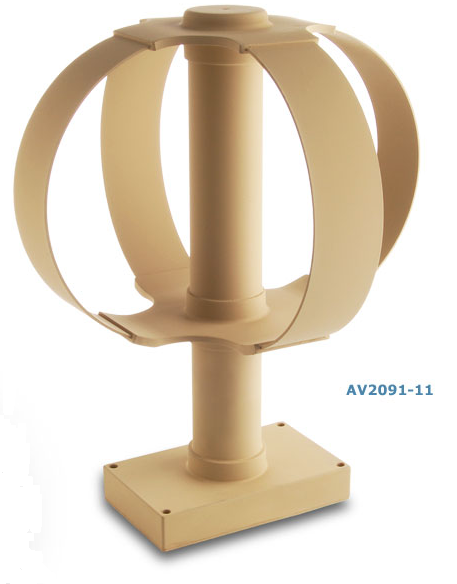 They are omnidirectional in azimuth and elevation patterns are optimized for communication with aircraft. 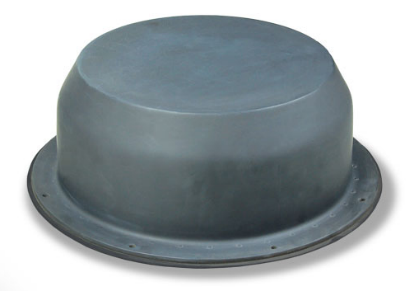 Cobham’s range of TacSat antennas feature ruggedized, enclosed radome designs with built-in ground planes. Antennas such as the TacSat/MUOS 2365, also used for land vehicle applications, are ideal for difficult environments such as operating from a rapidly moving RHIB. 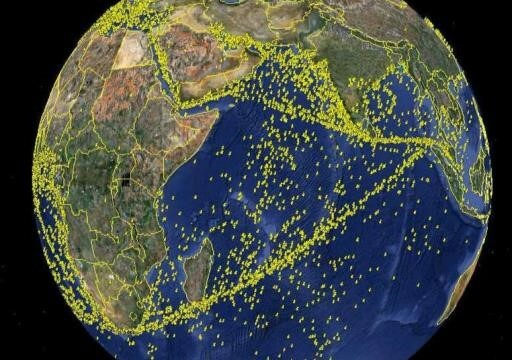 This presents particular problems for SatCom connection as the angle between RHIB and satellite is continuously varying in both the pitch and yaw planes. The problems caused by the colocation of RF transmitters can usually be solved by positioning antennas with adequate space between them. Where this isn’t possible (e.g. on a land vehicle) other solutions must be found. 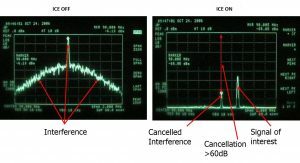 Cobham’s ICE system removes interference by injecting an accurately scaled anti-phase version of the interfering signal. This makes the system ideal for dealing with colocation issues, and on-board, in-band jamming situations. 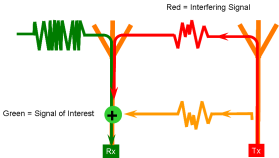 ICE can be used where the interfering signal is either outside, or inside, the band of interest. It can also be used in frequency hopping applications. Customised systems are already in use with allied land, sea and airborne platforms. The ICE system is quite small (a little bigger than a cigarette packet for a single channel version) and can be configured to handle multiple channels. Naval vessels often have to operate with a minimal crew and this means that some traditional expertise is no longer available on-board. SCOTTY’s live video streaming system can be used to stream video over a variety of bearers including 3G/4G, Internet, ISDN, INMARSAT BGAN, Ku-band and Ka-Band services. Prompt expert support can avoid unnecessary ship diversions whilst ensuring both the best outcome for a patient, and repair of failures while still at sea. The German Navy are one of the users of the system which allows remote specialists, possibly on the other side of the world, to see what is happening on board. The SCOTTY display can be split into quarters, each with a different video input. This might include vital signs monitoring in the case of remote medicine. The cameras on-board the vessel can be operated from the remote end, so specialists can control their view of a situation and give the appropriate instructions to the crew. Two-way audio communications is available throughout. SCOTTY’s highly efficient CODEC enables video and two-way audio communications to take place over the narrowest of bearers. Modern, advanced, shipboard communications systems require an increasing number of RF and Microwave systems and components. These systems, in turn, require more sophisticated cabling systems to handle higher power and be reliable and long lasting in service. 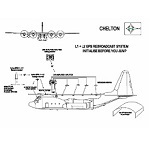 On board assembly is an important consideration for maintenance and systems upgrade purposes. Cobham supply coaxial cable runs for mast applications which require a flexible cable that permits flexing during installation, service, and sometimes the actual operation of the system. Braided electrical shields and PTFE tape-wrapped dielectric make a cable assembly flexible and pliable. 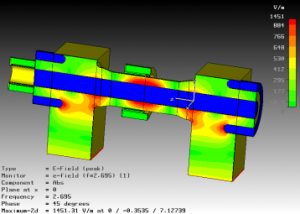 These allow repeated flexures without damage. When long, continuous runs of coaxial cable (up to 550 metres) are needed to connect an antenna and a transmit/receive module, the unique construction of Cobham’s mast cables permits the cable to be mounted on a reel for re-deployable systems. Cable assembly on the reel with pulling grips and hangers can also be supplied, ready to use in your system. 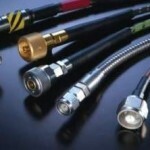 Shipboard versions of this cable, identified by the part number code LSX, are designed for low smoke and halogen free jackets. Both ground-based and shipboard cables also can be supplied with a solid centre conductor for lower loss. Coaxial cable assemblies for shipboard systems with halogen-free jackets that are low smoke and do not generate toxic gases when burned. Cobham manufacture a wide variety of RF cables and any of their cable constructions can be adapted to this application. Cobham Antenna Systems design and manufacture waveguide components and assemblies (including double ridge, flat plate antenna arrays), and rotary electro mechanical subsystems (including pedestals, gimbals, rotary joints and fluid rotary joints). 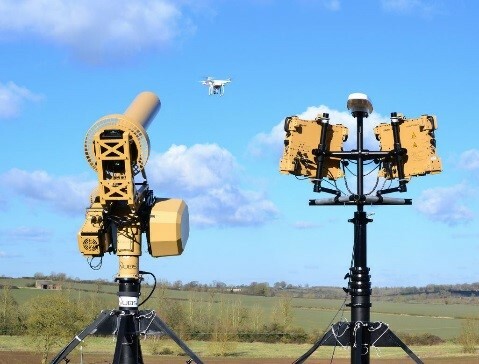 Cobham systems are in use on the ‘Shadow’, ‘Predator’, and ‘Global Hawk’ UAVs, the AEGIS radar system, the Eurofighter, the Apache helicopter and even the Mars Rover. Rotary joints are used in many Air Traffic Control Radars. Search and Rescue equipment ranges from components to complete systems. 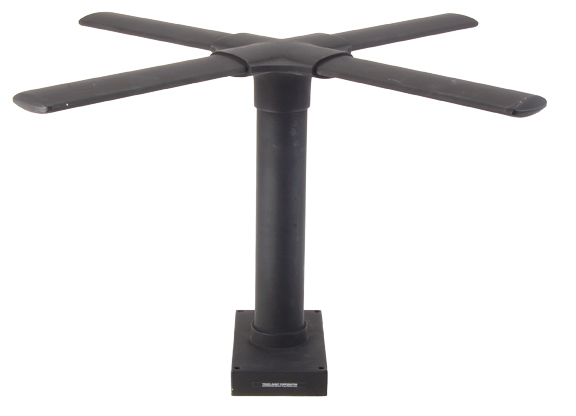 Both Cobham Antenna Systems and Alaris Antennas offer Direction Finding (DF) antennas. These are both land and vehicle based (especially aircraft in the case of Cobham Antenna Systems). Cobham’s (ICE) Multi-Radio Interference Cancellation System is in use with the US Coast Guard as an essential component in its RESCUE 21 programme. Cobham antennas support CSAR (Combat Search and Rescue), GMDSS (Global Maritime Distress and Safety System) and the COSPAS-SARSAT 406MHz service. This allows their solutions to be used to locate a wide variety of Emergency Beacons; Emergency Locator Transmitters (ELT), Personal Locator Beacons (PLB), Emergency position Indicator Radio Beacons (EPIRB), Personal Emergency Location System (PELS) and Auto Emergency Locator Beacons (ADELT). SCOTTY’s airborne system can utilise satellite channels as narrow as 192kbps to provide live HD video. 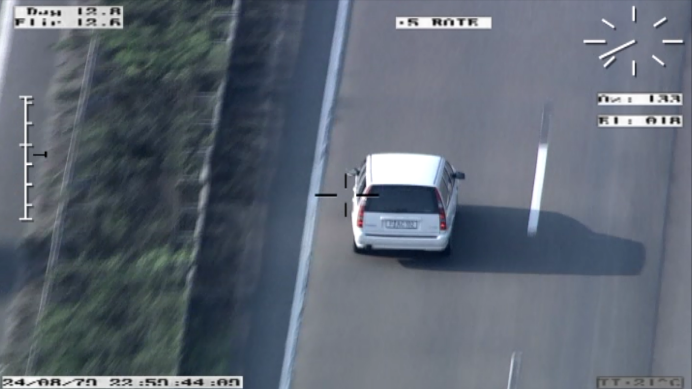 Whether mounted in a manned or unmanned vehicle, cameras can be controlled from the cockpit, or a remote operating base. The system can be used with any type of camera, and switching to HD thermal images can make the location of targets much faster. By connecting the system to an external camera mounted above a recovery helicopters side door, winching operations can be viewed in real time without risking crew members, especially important in bad weather conditions. 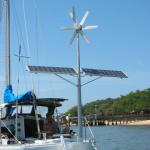 Originally designed for the marine community, the Solar Stik™ 100 Marine is a free standing renewable power generator that occupies minimal deck-space. 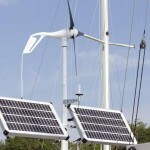 The System consists of 12V DC power generating equipment (wind and solar) that can power applications such as GPS, radar, and battery charging – without monopolizing precious deck-space or cockpit canvas structures. The System has a fully manoeuvrable solar panel array that can be aimed at the sun from morning until evening, regardless of the vessel’s orientation to the sun. Conventional solar panels are attach to a fixed surface and cannot articulate to face direct sunlight. Because they do not move, they are able to generate power for only about four hours per day. The unique construction of the Solar Stik™ provides three axes of movement to optimize the amount of direct sunlight exposure on its two 50 watt panels. With two or three simple adjustments to the panels per day, you can literally be generating power from dawn until dusk. 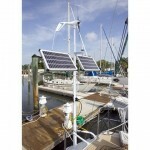 The Solar Stik™‘s solar panels alone produce a maximum of 80 amp hours per day. With the addition of a Solar Stik™Air Breeze Upgrade Kit (wind power), energy production can average at 125 amp hours or more. 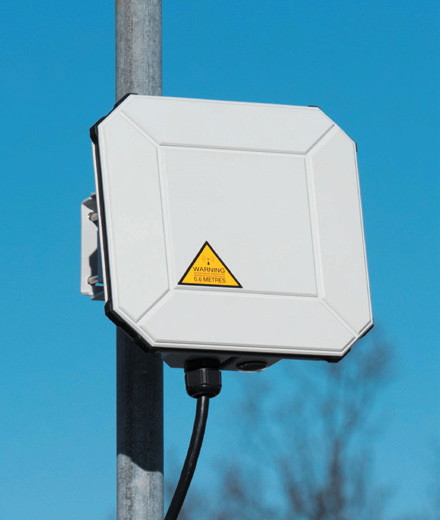 Mast mounting accessories are available to support additional functions such as GPS or radar installations. The mast assembly is even strong enough to support a light-duty lifting crane for small dinghy motors, gear, or provisions. 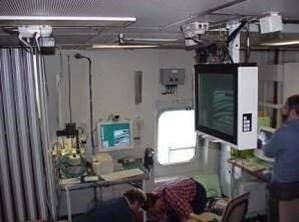 Access to the Internet and secure land-based VPN’s is available throughout the ship, live surveillance video can be streamed, and specialists can perform interactive tele-medicine, tele-maintenance, and video tele-conferencing. It is easy to take the ready availability of power for granted, but in situations where power infrastructure does not exist or is no longer available, it becomes a major issue. Maser Defence offers a range of tough, highly portable and proven power systems that can be quickly set up to support essential services. These systems use solar, wind and hybrid technologies to offer a range of solutions. They can be tailored to suit specific needs and can be used with existing infrastructure such as generators, significantly reducing fuel consumptions and costs. Solar Stik™ provides a range of portable power solutions ranging from fixed and trailer mounted solar panel configurations, small roll out solar panels that can be carried in a pouch, and solutions for recreational vehicles. Both 12 and 24V systems are catered for, with power ratings from 60W to several KW. Solar Stik™ systems focus on providing usable power when needed. The WASP™ provides the lightest and fastest battery recharging for applications where form-factor is mission-critical. The WASP™ is compatible with Bren-Tronics BB-2590, BB-590, BB-390 batteries and Ultralife UBBL02 (UBI-2590) and UBBL10 (UBI-2590 SMBus) batteries. The ApECOR X-90 charging head used on the WASP: It combines maximum power point tracking (MPPT) charging with an unparalleled 96% efficiency, minimizing charge durations, and can be scaled when conditions warrant. X-90 is a multi-chemistry battery charger that fits directly onto a variety of supported batteries. The charger features advanced digital control, automatic battery-type detection, MPPT, and extra features such as a fixed DC input mode and a fixed DC output mode. Charge times can be 80% faster than equivalents. Unique to the industry, the primary design feature of the Solar Stik™ system is a dual-axis manual tracking mechanism that enhances power production by optimizing direct sunlight and cool operating temperatures. Turnkey systems require no specialised knowledge and are typically set up by one or two people in 10 minutes. Tailored Hybrid Power Systems integrate with traditional generator power systems, signficantly reducing fuel consumption and costs. Based in Florida their customers include the US Departments of the Army, Navy, Marines, Air Force, and Homeland Security, Department of State, and some of the biggest names in the defence industry. Maser Defence is pleased to include Australian made Fusion batteries with our Solar Stik™ systems. 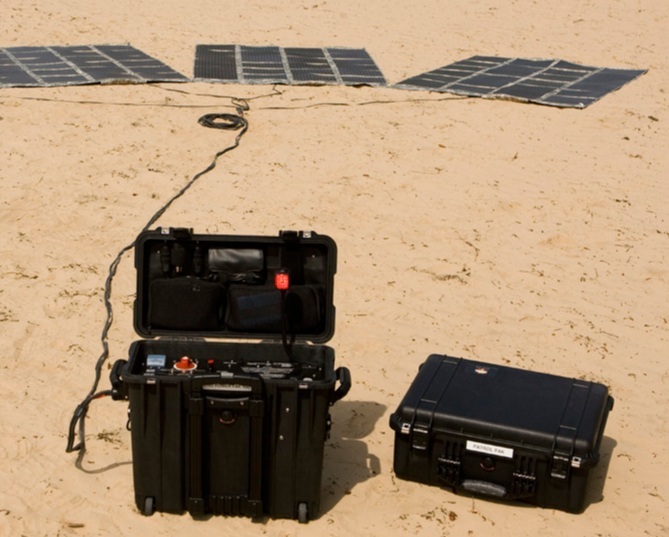 Solar StikTM demonstrated their new LiFePO4 3KW hybrid system at the US Marine Corps Experimental Forward Operating Base demonstration in May 2013. Replacing vital infrastructure is one of the highest priorities for first responders. By providing portable solutions which are rugged and quick and easy to set up, Maser is able to provide solutions which enable first responders to be effective very quickly. SCOTTY’s live video streaming system can be used to stream video over a variety of bearers including 3G/4G, Internet, ISDN, INMARSAT BGAN, Ku-band and Ka-Band services. High definition stills can be piggy backed over the video stream without interruption of the video signal. Where operators need to be on the ground, live video from helmet mounted cameras can be streamed back to control centres so that the appropriate information can be fed to the operator. Two-way audio communications is available throughout.